Are you interested in the pickup truck segment, but uncertain which brand you should go with? While the competition still stands between the 2019 Ram 1500 vs Ford F-150, we will highlight how the Ram 1500 stands apart from its competitors. Both are great choices to ease your work and personal driving needs, but that all depends on your personal preferences as well. So, which one has the advantage over the other? Check out this helpful comparison chart to help you determine that for yourself! 12,750 lbs. Max. Towing Capacity 13,200 lbs. As you can see, both the 2019 Ram 1500 vs 2019 Ford F-150 have many similar features as well as differences. Depending upon what you are looking for in a new pickup truck will distinguish which one is best for you. The 2019 Ram 1500 is an all-new model that offers more than your traditional pickup truck in terms of volume in comparison to the Ford. Another great benefit that comes with the Ram is its spacious and comfortable cabin that keeps the driving experience in mind despite your work demands. 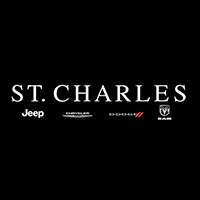 Visit St. Charles CJDR to find the right All-New 2019 Ram 1500 for you today!